I finally got my hands on the Fitbit Blaze, one of Fitbit’s latest fitness trackers on the market. 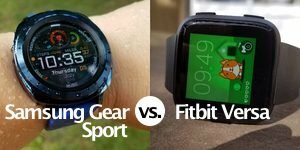 I’ve test the Samsung Gear Fit, Garmin Vivoactive, and the Microsoft Band 2 and all of them have their pros and cons. I’ve also wrote about them before on the blog. 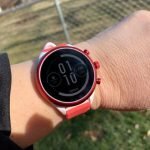 I have been especially impressed with the Vivoactive and Band 2 but I know a lot of folks out there really like their Fitbits, so I wanted to see what all the fuss was about. First of all, this isn’t officially my first Fitbit device, since the Fitbit Zip was my first dip in the fitness tracker/gadget pool. I loved it, even though it was simple and really just a pedometer. However, the Blaze is my first experience with a more feature packed Fitbit, so I’ve been putting it through the paces and comparing it against the Microsoft Band 2 and Garmin Vivoactive (not the latest Vivoactive HR but the original). It’s super lightweight and comfortable on my wrist. However, it took a while to give it a go because the firmware update took almost two hours to download! Reading Fitbit’s forums, I’m not the only one to experience such a long updating experience. 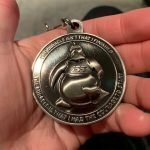 Many others had a much shorter download time of about 10 minutes. Don’t ask me why mine took so long because I don’t know. Once I finally was able to play around with the buttons and the screen options, I realized quickly that it offers a very straight-forward, no nonsense interface and user experience. There’s not many options or menus to choose from. 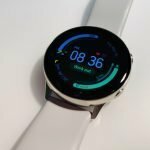 Compared to the Vivoactive and Band 2, it’s downright sparse but very easy to use. 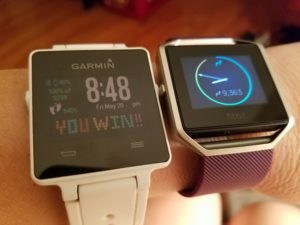 One of the things I’ve written about quite frequently regarding fitness trackers, at least those that offer good functionality, is that they, well, look odd on a woman’s wrist. Some fitness trackers look like I’ve strapped a garage door opener to my wrist and others are like wearing a spare tire as a bracelet. I haven’t found a good looking fitness tracker for women – at least not one that does all the things that I want it to do. 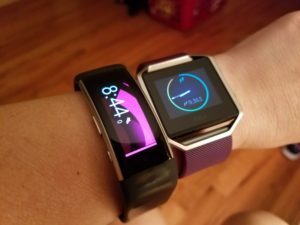 So what do I think of the look of the Fitbit Blaze on a woman’s wrist? It’s large but you get used to it, especially since it’s so lightweight. The octagon frame grows on you after a while too. In the age of smartwatches, I think we’ll just have to get used to women wearing larger watches. I think I’m just used to the olden days when women’s watches were smaller and daintier than men’s. Still, I think, considering the limited data the Blaze displays during workouts, it could certainly have a smaller screen. With that said, I’d rather it keep the same screen size and show me more data but I’ll get to that. 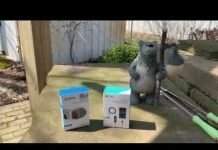 You may have heard that Fitbit is currently facing a lawsuit regarding the accuracy of their optical heart rate sensors. Actually, the biggest reason I want to try the Blaze out was to see how well the HR monitor performed against a chest strap monitor. I tried it out on both a rowing machine and treadmill. My first try on the rowing machine left me scratching my head because the estimated heart rate on the Blaze was measuring 40-50 beats lower than the chest strap. 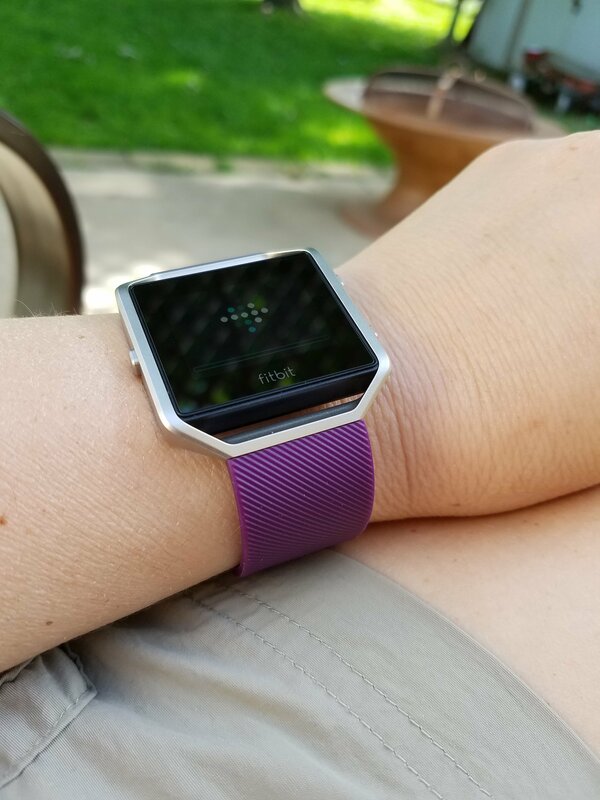 I thought, “No wonder Fitbit is getting sued!” Then, I remembered that the instructions suggested wearing the Blaze two inches above the wrist bone, so I move it up and tried again. Much better results! It was almost always with 3-4 beats of the chest strap, many times showing the same results. It obviously makes a big difference how you wear the Blaze on your wrist. Then I tried it out on the treadmill and again it was showing my heart rate within a few beats of the chest HR monitor paired with my Vivoactive. So, so far in my tests it’s been doing pretty darn good but I’m sure it probably depends upon how vigorously one is exercising and the type of exercise. 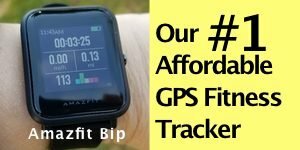 Optical wrist HR monitors aren’t for every type of workout and that should be stated. They’re great for walking and jogging, as long you aren’t pushing a shopping cart, baby stroller, or lawn mower. If you’re a serious runner, it would be best to use a chest strap. Unfortunately, Fitbit isn’t compatible with any. 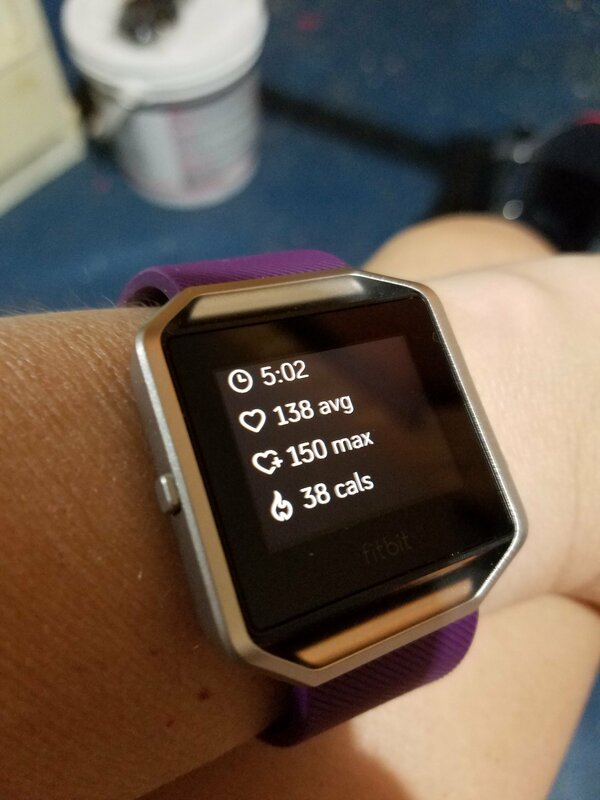 My biggest gripe about the Fitbit Blaze is that it provides so little data after or during a workout. 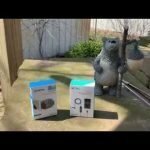 Compared the Band 2 and Vivoactive, it’s very basic. 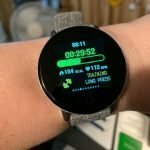 The Vivoactive gives the most feedback, especially when using a chest HR monitor. The Band 2 also provides quite a bit of useful information regarding heart rate. The Blaze just fizzles in this area. If you’ve never been exposed to another fitness tracker you don’t know what you’re missing. Sleep tracking was really basic, like in almost no useful information. It told me how many times I was restless or awake but I want to know my resting heart rate at night. The Band 2 shows this data. Also, another big grip with the Blaze is that the screen doesn’t remain on during a workout. I have to keep lifting my arm in the right motion to see my heart rate, the amount of time I’ve been working out, my steps, and miles. Below: I just wish the Fitbit app showed me all this data too! This was after a quick workout on a rowing machine. compatible with third-party apps galore! I’ll be doing some more testing with it and I’ll share the down and dirty data compared to other fitness devices in an upcoming review but for now, even though it is limited in what it can do, I still like it. It’s far more comfortable than the Band 2, which is bit like wearing a wood clamp. It’s battery life is good, much better than the Band 2. I like that I am able to switch out the bands on it for a different/upgraded look. 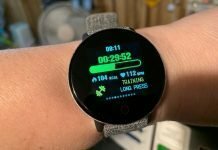 Many of the flaws of the Blaze could be easily (I’m assuming since I’m not a software programmer) with new software upgrades, such as being able to keep the screen on, improving the Fitbit app itself to show more data for the Blaze, and new watch faces. It could certainly show more metrics than it does. I’ll let you know after I do some more testing but so far I like it, for everyday use. 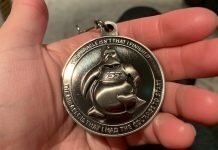 It’s comfortable, motivating, and compatible with tons of other apps. My major complaint is that it doesn’t have a built-in GPS, and for $200, I think it should. My other complaint, again, is that it needs to provide more metrics for workouts and sleep tracking. So, I’ll let you know my verdict soon!